CHICAGO—After School Matters® is now accepting teen applications for its summer 2017 program session. More than 600 programs in the arts, communications, science, sports and technology will be offered at more than 60 Chicago public high schools, as well as Chicago Park District, Chicago Public Library and community organization locations throughout the city, and downtown at the Gallery 37 Center for the Arts. Teens can search and apply for summer programs online at afterschoolmatters.org. The online application is available entirely in Spanish. 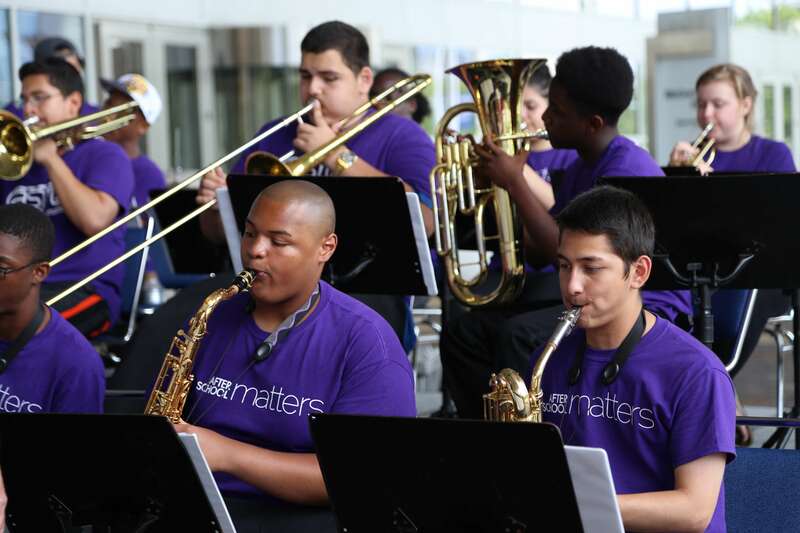 In total, more than 12,000 paid apprenticeship and internship opportunities will be available to Chicago high school teens this summer through After School Matters – the biggest session ever. Summer programs will meet four-to-five days a week for three-to-four hours per day over the course of six-to-seven weeks. Advanced apprenticeship programs will begin the week of June 26, and all other programs will begin the week of July 5. Participating teens will be eligible to earn a stipend of up to $725 (depending on the program level), and interns can earn $10.50 per hour. After School Matters’ unique programs offer teens an opportunity to develop their current skills while incorporating critical 21st Century skills like collaboration, problem solving, social awareness and more. Multiple independent studies and recent data have confirmed that teens who participate in After School Matters programs have higher Freshmen On-Track rates, improved school-day attendance and higher high school graduation rates than their peers. Teens in the Adler Planetarium Counselor-in-Training program will work with the Summer Camp Team to provide a dynamic experience for pre-k through middle school campers. The counselors-in-training will provide extra support during complex camp activities and monitor the safety of campers during indoor and outdoor events. Teens will also benefit from the mentorship and guidance of Adler Camp Counselors. The Blocks Together Peace Ambassadors develop their critical thinking, leadership and advocacy skills by researching the root causes of social issues and developing strategies to share their findings. Teens plan and run community workshops around the topics of violence and education, ultimately serving as positive change agents in their communities. Teens can transfer these skills to careers in community advocacy, public policy, or other fields which require confident and compelling leaders. Teens interested in learning about music production and mixing will grow their skills in the Deejaying Foundations program. This summer, teens will learn the art of selecting and mixing music for a variety of events and audiences. These fundamentals are transferable to a variety careers in entertainment including music composition, radio broadcasting and film and television production. Additionally, teens will be exposed to the professional skills required to be a successful deejay. Empowerment Tales is a program for teens of all abilities to participate in the development of poetry, plays and dramatic storytelling based on their lived experiences. Teens in this program will explore their purpose, find and express their voices and become empowered through the arts of spoken word poetry, acting and storytelling. Through this program, teens will enhance their self-confidence, public speaking and communications skills. Learn How to Code this summer! Teens in this program learn how to create and design a website using WordPress, a free, open-source tool. This program teaches computer skills and the confidence to use them, but takes it to the next level by incorporating mock interviews with clients as well as public speaking skills. At the end of the summer, teens will have the hard technical skills to build and populate a website and the professional skills to work with clients. Teens learn the physical and professional components of amateur boxing in order to prepare to become youth coaches, instructors or officials. Teens learn effective coaching techniques, methods of group management and sports instruction fundamentals while developing goal-setting, teamwork, leadership and communication skills. During the second half of the program, teens create their own lesson plans to run weekly sessions for community youth between the ages of 8-12. For more information, visit afterschoolmatters.org/teens/apply. After School Matters provides Chicago high school teens with high quality, out-of-school time opportunities to explore and develop their talents while gaining critical skills for work, college and beyond. For more than 25 years, more than 200,000 teens have participated in our hands-on, project-based after school and summer programs in the arts, communications, science, sports and technology. Programs take place at locations throughout the city including Chicago public high schools, Chicago Park District and Chicago Public Library locations, community organizations and downtown at the Gallery 37 Center for the Arts.